Hell must have frozen over. 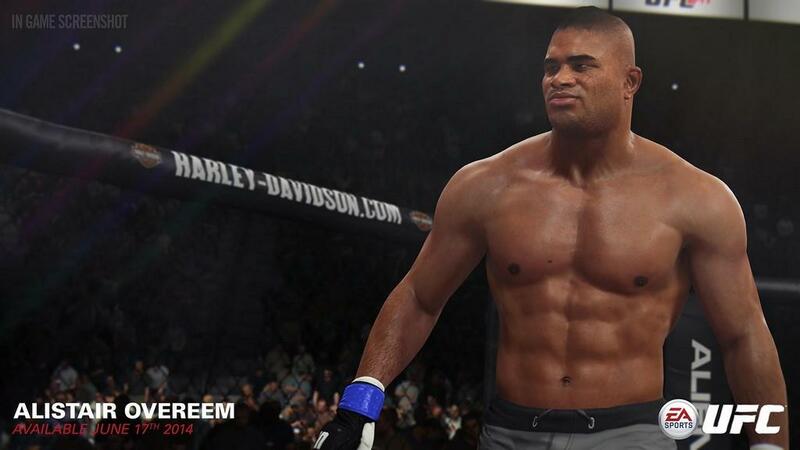 Because here we sit looking at an officially licensed UFC game developer and distributed by EA. It was only a couple of years ago that UFC President Dana White publicly declared himself at war with EA and vowed not to work with them. Instead, White joined forces with THQ and warned professional fighters that if they chose to be included in EA’s MMA title(s) that they would never set foot in the UFC. It was an ugly, public feud, and after THQ went bankrupt, it quickly came to an end. EA purchased the rights to the UFC license from THQ for an undisclosed cash payment, as THQ was going under, and immediately got to work on the next installment in the franchise. They had big shoes to fill as THQ had done an excellent job establishing the series, especially with their last installment: UFC Undisputed 3. If you have stepped into the octagon with one of the previous games, things should feel pretty familiar to you. The control scheme of the game hasn’t changed too much; it has just been refined and tuned to make it incredibly responsive and robust. The standup fighting, in particular, is about as good as I think that it will ever get for the series. You have what feels like total control over each limb of your fighter and can tweak your attacks with ease, depending on your situation. Yes, there is a bit of a learning curve to the controls, mainly because there are so many options and the fact that the game really requires you to read and react to your opponents' movements, but the in-game tutorials and instructions do a great job of teaching you the finer points of simulated MMA combat. If only the same thing could be said about the combat system when things get taken to the ground. Fighting on the ground is nowhere near as refined as when the fighters are on their feet. It almost devolves to a button-mashing fest when the fighters are taken down. One player simply spams their punches while the other either holds block or spams the L3 button to escape the mount. It feels like all strategy is thrown straight out of the window when a takedown occurs. That is unless, of course, you make your way into using using submissions, which really makes up for things. The submission system has gotten a complete overhaul. It seems like the controls associated with submissions have changed with each and every iteration of the game, but I think that we finally have a submission mechanic worth sticking to. The new system plays out like a strategic tug of war between the players, having them "chase" each other's directional inputs. It even allows the fighter on the offensive to clinch in the hold tighter if they remain ahead of their opponent for long enough. It is simple really once you get into it, despite looking ridiculously complex in the early gameplay trailers. I have grown to prefer this system over all of its predecessors and hope that EA sticks with it in future iterations. 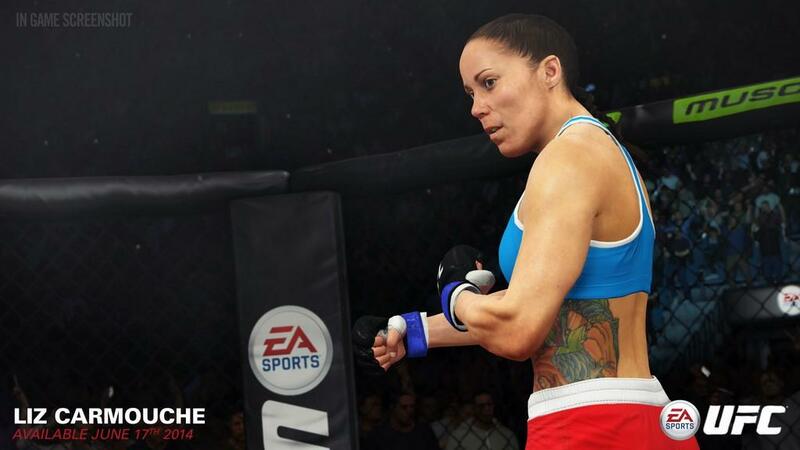 There is only one option for the career mode this time around, and that involves you creating a fighter and taking them from a nobody to UFC champion. You start by earning a spot on the Ultimate Fighter television show, then into the promotion, and eventually to taking shots at the title. It feels a bit streamlined compared to the previous career modes, but does a good job teaching you the ins and outs of the combat system. The presentation values are very high, thanks to a good mix of video clips and vignettes scattered throughout the experience. During your time on the Ultimate Fighter, you will go through a variety of drills that earn you points that can be used to improve the stats of your fighter. Once again, it doesn’t feel quite as robust as Undisputed 3, but does provide an adequate look at the life of a MMA fighter. You will have to constantly train and earn sponsorship from different companies to help further your career. The sponsorship system in particular is pretty shallow and is based solely on the number of fans that you build up. For this generation of games, and considering EA’s credentials with other sports, I expected a lot more depth to the career aspect. Aside from building a career for your custom brawler, the only other modes of play available are multiplayer (online and off) and exhibition. The depth of the experience is very shallow to say the least. Luckily, addicting and fun gameplay will keep you coming back. It is an absolute blast to square off against your friends, especially locally, like in the old days. There is still plenty of room for growth, though, for the next installment, particularly in the solo modes. Despite being one of the most gorgeous games in the industry, EA’s UFC suffers from quite a few technical hiccups that hinder the experience slightly. Most notably, technically, is awkward collision detection. This doesn’t happen all of the time, but it is definitely noticeable throughout your fights. Often it will appear as though you completely whiffed a blow to your opponent’s head, or vice versa, yet it will have devastating effects on the other fighter. It really looks bad and takes away from the flow of the game. Hopefully this is something that can be touched upon in patches down the line. 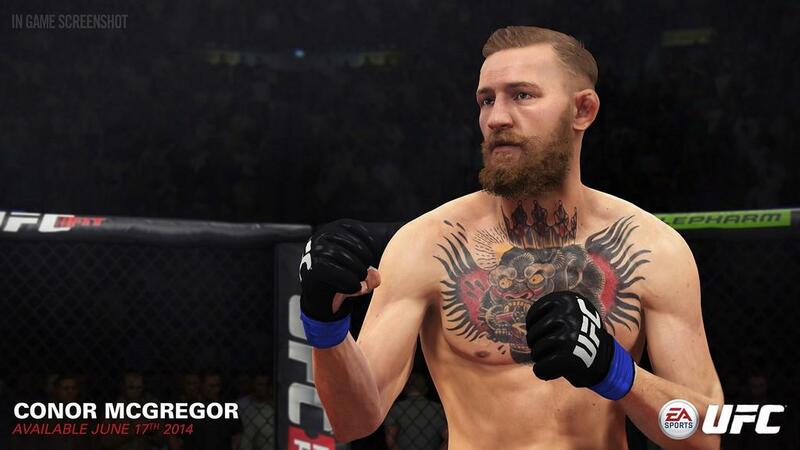 The biggest problem with the UFC experience is the lack of gameplay modes. As I mentioned, you only have your choice of playing the career, fighting online, and facing off in exhibition matches. Considering the robust options available in the last game (despite it being by another development team), fans had grown to expect a lot more. This is the one area that needs some major attention before the next release. 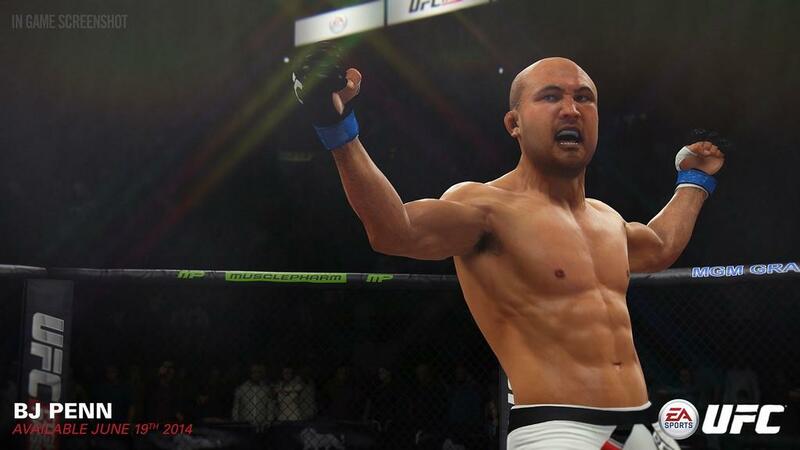 Despite its shortcomings, EA’s UFC franchise is off to a great start. Excellent audio and visuals, as well as a great control scheme (despite there being some room for improvement), have set the stage for a great franchise. There are many times during my matches that I could have sworn that I was watching a real fight; that is the sort of experience that I expect in this generation of gaming. The foundation and framework are there. Now they just need to flesh out the concept with more modes and refinements to keep gamers engaged in the long run. 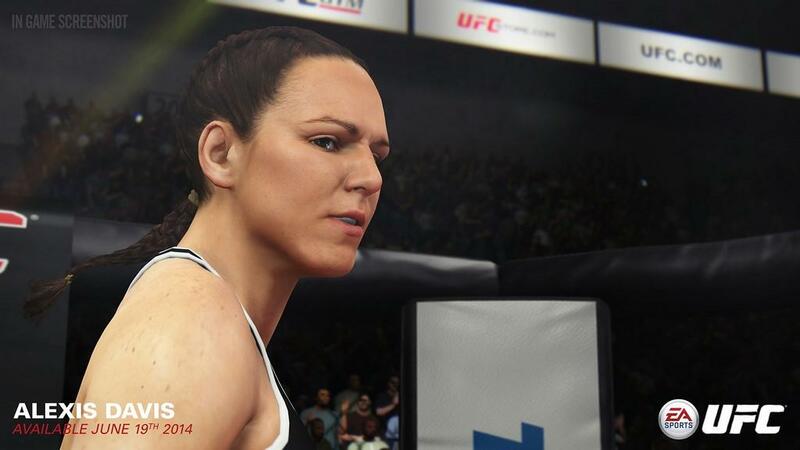 EA Sports UFC is absolutely amazing to see in motion. It is a lot of fun to play, too, assuming you have some friends along for the ride. Now, if the new development team can flesh out the experience with the additional modes and content fans loved in the previous release under THQ, EA could have another blockbuster sports franchise on their hands.